Showing results for tags 'v1.4.0.1'. This tools turns your folder with the Windows image in it, into a fully bootable ISO. As of v1.4.0.1 ISO Maker now supports UEFI as default. Step 1: Select the folder you wish you wish to make into an ISO. Press the first 'Browse' button. Step 2: Type in an ISO label. Step 3: Select where you want to save the new ISO. Press the second 'Browse' button. Option: Boot Image You can choose to add a custom boot image if required, i recommend you leave this at the default setting unless you are having issues. Option: Rebuild Image It is best to rebuild the image before it makes an ISO, this will decrease the size of your WIM image especially if you have made lots of changes and removed file. Step 4: Press 'Start' Once pressing start a black command prompt screen should appear with a progress indicator. The Language Pack Converter tool converts your langauge packs from the .EXE form to the .CAB form so you can use them to integrate into your Windows image, using either the All-In-One Tool or another program from a different developer. Step 1: Add the Langauge Pack(s) Click the Add button, browse for your language packs.exe Step 2: Starting the process Press the Start button and select the folder you want the .cab to go Step 3: Wait Items that go Green mean they have converted successfully, that's pretty much it. The 'All-In-One Disk Creator' lets you create all in one disks, so for example you can have Windows 7 SP1 x86 and Windows 7 SP1 x64 in disk, you could further include Vista or 2008 server if you wished. Step 1: Select your first image. Press the 'Browse' button and select your first install.wim, you should then see all the images get lists Step 2: Select your second image Press the 'Browse' button again and select your second image, you should now see even more images added. Optional 1: Add more images You can keep hitting browse and add more and more images until your ready. Optional 2: Delete the images you dont want! Step 3: Press Create W7T will then merge all of the images together, it will also try the best it can to resolve name conflicts however you may have to use the 'Edit' button and change some names to that NONE of them are the same, don't worry about descriptions, they won't conflict. WARNING: It is really important that none of the images have the same name, W7T will try for example add 'x64' or 'x86' to the names of the images to remove conflicts, however sometimes this is not enough. Optional: Rebuild You can choose to rebuild your newly created image so that it can produce a smaller ISO. Optional: ISO Maker Self-explanatory, make a new ISO with your new creation. Options Unlock All Editions Usually an image is locked to one edition i.e. Ultimate, so when it comes to install you don't have the option of choosing. Unlocking them will ask you which version of Windows you wish to install after booting from the ISO/USB. x64 Recovery Mode This will copy the 64bit Recovery Mode files, so if something happens to your computer and it's 64bit, you can use this option. The 'USB Boot Prep' tool let's you prepare your USB stick so that you can install Windows Vista/7 from it, your computer does require support to boot from USB for the USB stick to work. Caution: The 'Full (Format)' button will format everything on the USB stick. W7T will ask if you're sure though. Yellow: Usually means it is RAW and has not been formatted, not bootable. Green: This means the drive is already bootable. Step 1: Plug in your USB stick This tool won't work without a USB Stick so go ahead and insert one. Step 2: Select your stick Hopefully W7T will detect your stick and list it, select the disk/partition you want to be bootable and click start. Step 3: Select Quick or Full Quick: This will just mark the partition as 'Active' and convert it to NTFS if needed. Full: This will 'Clean' the USB stick remove all partitions and data. W7T will work it's magic and let you know when it's done, once done you just need to copy and paste your installation files onto the USB stick. The 'Driver Installer' lets you install any driver either from driver packs or you just have an updated driver to the computer currently installed (Live). Installing Drivers Step 1: Select the folder your drivers are in Use the 'Add Drivers' to select the folder which contains your drivers *.inf files Note: *.inf files with the same MD5 will not be added, this avoids installing the same driver. Step 2: Click Start Once your files have been added, click 'Start' and W7T will start installing the drivers on your computer. Step 3: Wait Wait may take some time to install all the drivers, so go for coffee, cup of tea or whatever you prefer. W7T will let you know when it's done. Uninstalling Drivers Step 1: Press the scan button This will check which drivers are already installed via on your live system. Step 2: Select the drivers you want to remove Tick the boxes next to the drivers your want to remove. Step 3: Press 'Uninstall' and wait Now all you have to do is sit back and wait for those obsolete drivers to be removed, W7T will update the list once completed. WIM Splitter is the tool where you can split a large install.wim into smaller *.swm so you can fit your installation disk onto a CD. Step 1: Select the WIM Click the first browse button and select the *.wim file you want to split. Step 2: Choose your 'Size' Type in the maximum size you want each separate files to be. Step 3: Select your 'Output' folder Select the folder you want the new separate files to go. Step 4: Press start Press start and wait for it to finish Option: Rebuild Rebuild options literally rebuilds the image so that it becomes smaller which then in turn makes your ISO smaller. This is only needed if you have made modifications to an image. The 'MSP Extractor (MS Office)' lets you convert your Microsoft Office updates into *.msp files which go into the 'Updates' folder of your Office installation disk so that they get installed automatically when you install Office. Step 1: Add your Office updates Click 'Add Office Updates' browse to them (exe) and wait for them to add into the list, you should then see information about the Office updates you have selected. Step 2: Click Start Click 'Start' and select which folder you want the new *msp files to go. Step 3: Wait Sit back and relax whilst W7T extracts the msp files, it will let you know when they are done. You can think of WIM Manager as a GUI version of DISM/Imagex. You can rename, mount, unmount, delete, import, export, integrate unattended file, and so on... NOTE: If you plan you on integrating stuff you don't have to mount it via this tool first, you can just go straight to All-In-One Tool. 1. You will probably see an empty list unless you have select an image before, if it's empty then go to 'Browse' and select the following option: a) If you have extracted an ISO or copied the DVD onto your HDD then select the 'extracted DVD' solution and select the folder root (not the 'sources' folder itself but the folder before that). i.e. C:\\Win7SP1\\ Select a specific wim. Useful if you want to select the boot.wim or if you just have the install.wim without the other DVD contents. OK, once done, you should see a list of images and a bunch of options. Apply Unattended If you created an unattended file then you can integrate it here, just simply select your unattended file. Delete Image This will literally delete the image from the install.wim, it is recommended to rebuild the image after you have delete all of the images you needed to delete, but you can rebuild just before you close WIM Manager (so you only rebuild once). Edit This lets you edit the name and/or description of the selected image. Export This lets you export the select image to its own *.wim file, can come in handy. Import This lets you capture a new image to add to the currently selected install.wim. This uses the 'Capture Image' tool. Make ISO Makes your selected DVD/Folder into a bootable DVD! Merge Image This lets you merge another *.wim into your selected install.wim, for example you can add your Vista into your selected Windows 7 image to create an All-In-One. Mount Image Self-explanatory, lets you mount the image. Rebuild Image This is probably the most handy feature, if you have made loads of edits to your image like integrate updates, delete files, then i recommend you do this as it will decrease the size of your install.wim which makes your ISO smaller. Already Mounted Image If you have an image already mounted it will be displayed like this. You can actually switch to the All-In-One Integrator and select this image to work with. Set Product Key This uses DISM to set a product key for the image. Unmount Unmounts the image, asking you if you want to save or discard changes. Other Tools This lets you switch between tools and save you from going back to the Tools Manager and selecting the new tool. This will let you have you Windows installed unattended. It's not the most complete unattended out there but it's better than nothing. Luckily most of this is self-explanatory, note it is recommended to leave 'Architecture' set to 'AnyCPU' which means it should work for both x64 and x86 installs. Main This is where you select the most important parts of the unattended file, like your name, serial key, time zone, screen resolution, updates, Auto-Logon, etc... Users The 'Users' tab lets your add pre-installed usernames on the computer, with passwords, user group, description, again self-explanatory. Editor (Advanced) It is recommended to leave this alone unless you know what you're doing, since W7T does not have full unattended features it allows users to add their own entries and save them to a file, it also allows the user to see what will be saved. Serial Keys These serial keys are known as 'Default Keys', they are basically just used to make the install unattended by leave Windows de-activated and keeps the 30 day trial. WARNING: If you use a Ultimate serial key then you must install Ultimate otherwise it will error. Integration You can use the 'WIM Manager' to integrate a unattended file. This tool lets you remove built-in Windows packages from your image, for example Windows Media Player, Windows Media Center or Internet Explorer. The difference between this and vLite is that this tool uninstalls them the official way rather than remove files the downside is that the image does not shrink as much as just removing the files. It also lets you remove old updates. WARNING: Anything you remove using this tool can't be undone, it is permanent! Step 1: When you first open up this tool you will be asked to select the image you wish to work with. Click 'Browse' and select the install.wim you wish to work with and then either click on the item Windows version you want and press select or just double click. Once done, the image will start to mount and retrieve all available packages within the image, it will not show ones which have already been removed. Note: You may notice that this list has more than the list available in 'All-In-One Integrator', this is because in the AIO i have only included the basics, whilst Component Remover will include everything, including updates. Step 2: Select the items you want to remove Once all the items have been listed, you can select the components you wish to remove. Green: Safe to remove. Yellow: Unknown, be careful removing these Red:This will break something, something depends on this feature but it will hopefully say what it is. Step 3: Begin Once you have everything selected, you can now click 'Remove Components', once done it will rescan and shows you what's left in the image. Step 4: Save Once done, you can go ahead and close the tool, click 'Yes' and it will ask you if you want to save the image, i recommend you to 'Save & Rebuild', however if you are going to be working on more than one image then just rebuild once you're done with your last image. XP and Vista users: You will need to use the DISM Installer in order for W7T to work on your Operating System! Windows 7 Toolkit is a program designed to help you integrate your Updates, Drivers, Theme Packs, Tweaks, Wallpapers, Addons, SFX Installers, Gadgets and remove the things you don't want from your Windows 7 Image. Tools Manager is the main window for Windows 7 Toolkit, there are many tools which you can select. Main - Basic All-In-One Integrator This is the greatest tool in W7T, it's let you integrate, Addons, Remove Components, Drivers, Gadgets, Language Packs, Edit Services, Silent Installs, SFX, Theme Packs, Tweaks, Updates and Wallpapers! ISO Maker This is what it says on the tin, it creates your ISO file for you to burn! Now supports UEFI! Windows 7 Toolkit Guides A nice direct link to guides on how to use Windows 7 Toolkit SoLoR SP1 Updates SoLoR works very hard and providing ALL the updates released since Service Pack 1 so he should get credit for this, this little tool lets you easily download his updates which Microsoft has released via Windows Updates but more importantly which Microsoft has also released privately and which are not released via Windows Update. 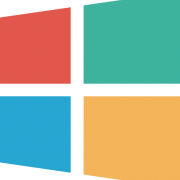 Windows 7 SP1 ISO Since i prefer my users to use the latest service packs, i have added a link to a completely free, legal and official download source to the Windows 7 SP1 DVD. Note, you will still need your own serial key. Main - Intermediate Unattended Creator I'm sure you can guess what this is, this creates an Unattended file which you use to install Windows with, just create and make sure you place the new file in the DVD root. USB Boot Prep Prepares your USB stick so you can install Windows from it, obviously your computer needs to support USB booting! WIM Manager Manage and edit your install.wim, for example you can rename images, delete images, add new ones, create ISO, rebuild, mount, unmount, etc... You can also use this tool to integrate your unattended files. Main - Advanced All-In-One Disk Creator This tool let's you combine all your WIM files into one DVD, this is most commonly used is to merge x86 and x64 disks. Component Removal This program let's you remove over 100 components which comes with Windows, some of them are Internet Explorer, IIS, Windows Media Player, Sample Pictures, Tablet PC components, etc... I am also planning on adding some more eventually. WIM Registry Editor This tool mounts the wim and then it's registry so you can add your tweaks into that image! Tools Converters Language Pack Converter Converts Langauge Packs which are in the exe format to cab so you can integrate them. MSP Extractor (MS Office) Converters Office Updates to msp so they can automatically install when you install Office. MSU > CAB Converter Converts MSU to CAB files so you can integrate them or install on your current OS via the CAB Installer. Online Installers Driver Installer This will install drivers on your currently installed system using pnputil.exe, it will only install the drivers you need.This tool also lets you uninstall drivers too. Update Installer This will install updates on your currently installed system, probably mostly used by those who use SoLoR Updates. This tool also lets you uninstall old updates too. Image Tools SWM Merger Merge *.swm files into a larger *.wim file so it can be edited. WIM Splitter This tool splits your install.wim into multiple files so you can fit them onto multiple CDs. Capture Image Captures new WIM images, so you can use that new image to install Windows. Other Tools Addon Maker This tool is for advanced users to create .WA files which other users can use the All-In-One Tool to integrate into your image. CAB Retriever When Windows Update downloads updates, the cab files get left in a folder. This tool retrieves those files so you can integrate them. Downloads This has links to the most popular downloads you should need for W7T.